It’s time to grab your friends, some lawn chairs and come listen to some first class LIVE entertainment on the lawn at 4th and Nebraska streets. 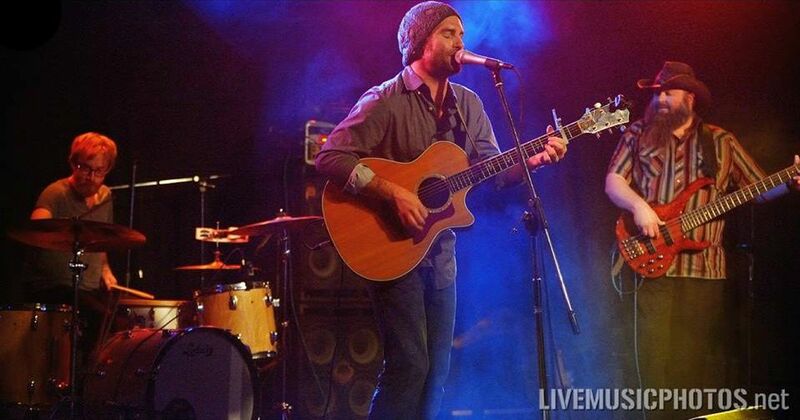 Chill out with a different live band every week. The party starts right after work, so get there quick…you won’t want to miss a beat! © 2017-2018 All rights reserved. Downtown Live. After a two year stint in Nashville, TN, Dotson moved back to Des Moines with new sense of musical and personal maturity. He wasted little time jumping back into touring and began recording his fourth album. The release of “Tumblin’” in March of 2015 clearly demonstrates his bold transformation with a variety of up-beat tunes and heart melting ballads. On the heals of a SOLD OUT album release show with over 600 in attendance the release of “Tumblin” on iTunes garnered nationwide acclaim by climbing to #24 on the iTunes rock charts. Amidst musical giants like The Beatles, Elton John, and Pink Floyd on the charts it proves that Damon’s music and talent “belongs” and deserves to be heard on a large scale. Dotson channeled his heroes like Dave Matthews and Willie Nelson to make a sound that is all his own, and it’s working! Damon was also recently invited to sing “America The Beautiful” on the floor of the House of Representatives at the Iowa State Capitol in Des Moines. He is only one of two people to share this honor; the other being world renowned opera singer Simon Estes. Dotson has also sang the National Anthem at big time sporting events at Hilton Coliseum in Ames, IA, Wells Fargo arena in Des Moines, IA, and TD Ameritrade ball park in Omaha, NE. Dwayne, born March 3, 1979 in Lafayette, Louisiana, was the last of eight children. Dwayne attributes his musical abilities to his father, Rockin’ Dopise, Sr., a pioneer of Zydeco music. As a small child, Dwayne was interested in the washboard, but quickly realized he had incredible talent with an accordion. 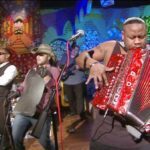 He has played the accordion since age seven and states, “This is my calling – Zydeco music is in my blood and it is my heart and soul.” As a tribute to his late father, the most influential person in his life, Dwayne plans to record an album of his Dad’s greatest Zydeco hits. Dwayne Dopsie and his Hellraisers have performed in 20 different countries and in hundreds of cities Bcause of the energy and power of the music they play, he has been winning different OFF BEAT MAGAZINE AWARDS for the last 6 years for best accordion, best zydeco artist, best zydeco band and best zydeco album. September 2016, He was on “Louisiana Rising” with Harry Connick Jr and Randy Jackson, performing their song for the flood victims called “Rollercoaster” which is one of the songs on their new cd, ” Top of the Mountain” released in 2017 . 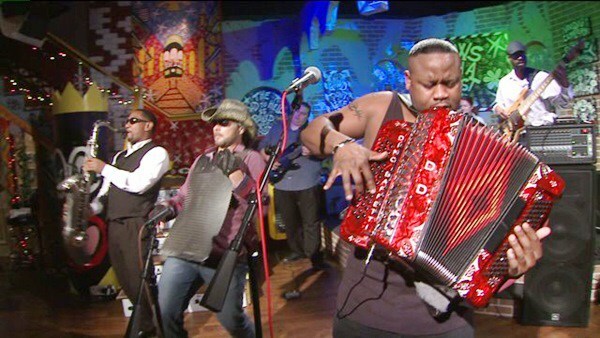 And most recently Dwayne Dopsie and the Zydeco Hellraisers was nominated for a 2018 Grammy award, for the Best Regional Roots Music Album. 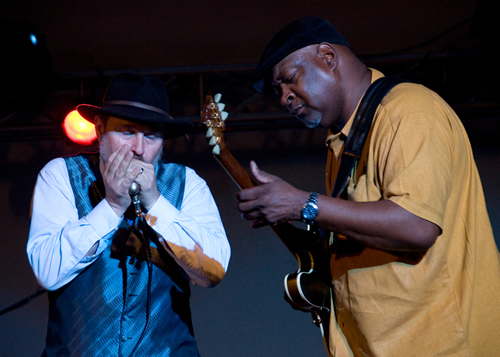 Led by harmonica master and songwriter Pierre Lacocque, Mississippi Heat is a world-class Chicago Blues Band. 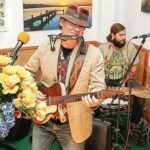 Their motto is “Traditional Blues With A Unique Sound” as they present fresh yet vintage-based musical ideas. 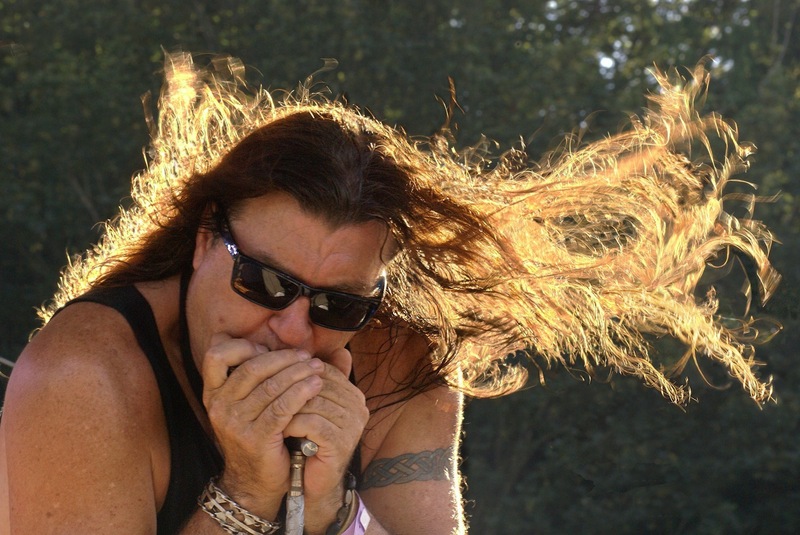 MISSISSIPPI HEAT’s name is a reflection of Pierre’s reverence for Mississippi’s blues culture and music. The band’s conviction is that there is no deeper music than Delta-inspired blues to express what lies in everyone’s soul. 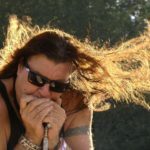 They have received world-wide critical acclaim, including from Living Blues Magazine: “MISSISSIPPI HEAT delivers its traditional urban blues with a freshness, energy and competence that makes them a treasure on today’s Chicago scene.”Mississippi Heat is known internationally for their passionate blues delivery. Overseas and national touring have been an integral part of their work for decades. The band has appeared at many world-famous festivals including many in the US (like the Pocono’s and the Chicago Blues Festivals), Scandinavia, Germany, France, Italy, Switzerland, The Netherlands, Canada, Tunisia, Finland, Venezuela and in Mexico, among many others. Besides a scheduled European tour for 2018, they will also soon perform in Dubai. 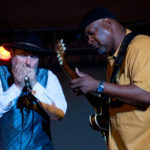 Buddy Guy has gone on record saying that it’s “been a long time since I heard a good blues band like this.” And recently the band received this critical acclaim from Bonnie Tallman at the Billtown Blues Festival (Hughesville, PA): “Can’t find enough words to express how blown away everyone was with the Mississippi Heat performance! It was spectacular in every way.” The band has made waves on the blues charts by regularly reaching the #1 spot on Living Blues Magazine’s radio charts. 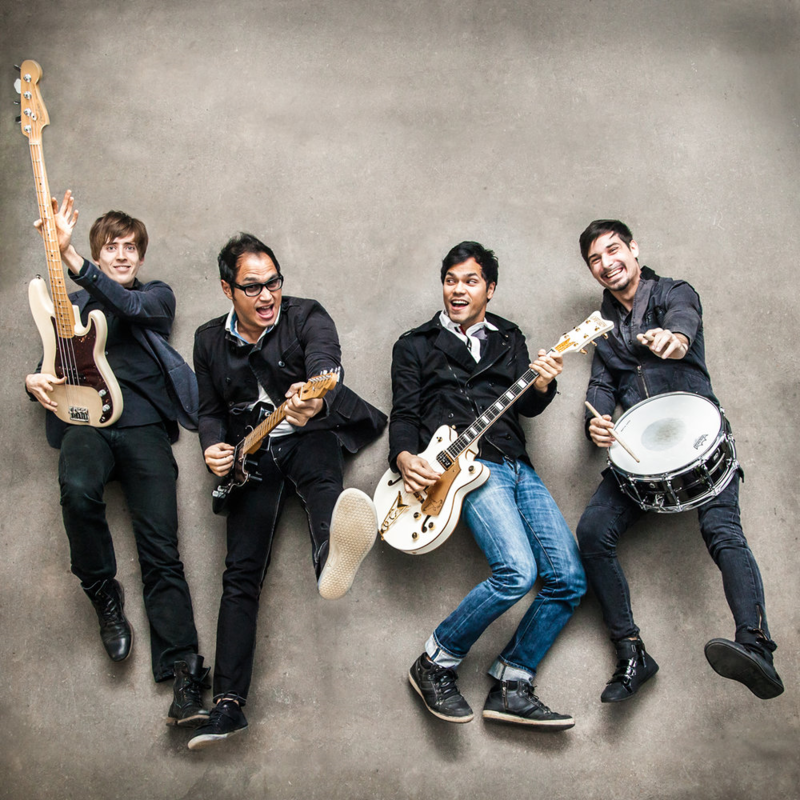 Brothers, Ben and Bill Kristijanto, formed Iowa-based band, Bread of Stone, in 2004. Their father believed the Lord was calling them to start a music ministry, so the brothers started taking music lessons and began performing in local churches. 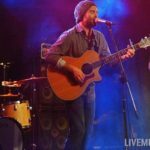 As time progressed, Bread of Stone began playing at festivals and youth conferences, and various other venues the Lord provided, giving them the opportunity to share the Gospel message. Ben and Bill have since been joined by bass player, Tim Barnes (South Dakota) and drummer, Jason Ferris (Ohio) to form a four-piece band. In 2015, the band charted No. 1 on Billboard’s Christian Rock Charts with their song Porcelain from their project Not Alone. Later that year, the group went back into the studio to work on their fifth album, Hold The Light. The band is currently working on a new project and is focused on pushing the music industry limits to create something fresh. Bread of Stone is passionate about sharing what God has been doing in their lives, both personally and as a group, wherever they travel. During a trip to Indonesia, a country the brothers called home for nine years, they founded The Light Project when they were asked for help from local village pastors. The goal of this ministry is to empower those who are not afraid to carry the light of Jesus into the darkness, even when faced with persecution. Bread of Stone continues to visit Indonesia to encourage the people and to share the Love of Christ. Award-winning Australian singer/songwriter Peter D. Harper — known in the music world simply as “Harper” — creates a heady mix of roots music through his creative use of the harmonica and the haunting drone of the didgeridoo. Harper’s latest CD, “Show Your Love,” features 11 original road-tested tracks recorded with his well-traveled Detroit-based touring band “Midwest Kind.” “Show Your Love” hit # 3 on Billboard, USA and remained in the Top Ten for an incredible six months! Harper possesses a powerful soulful voice and a deep, almost mystical approach to music that some might say has evolved into its own genre. Harper calls it “World Blues” — a rich musical stew of ‘50s rhythm and blues, a ‘60s message of love and unity, and ‘70s funky soul, stirred up with masterful, virtuoso harmonica and the deep, woody, percussive tones of the didgeridoo, served up in a feast of timeless mystery. King Of The Tramps are musical travelers spreading their Whiskey Gospel across venues in the Midwestern U.S. and to fans in Europe. Their songs preach celebration, forgiveness, and a love for the world and it’s wonders. 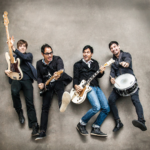 They have performed over 350 times at festivals, clubs, bars, boxcars and anywhere they can make a fan or a friend. 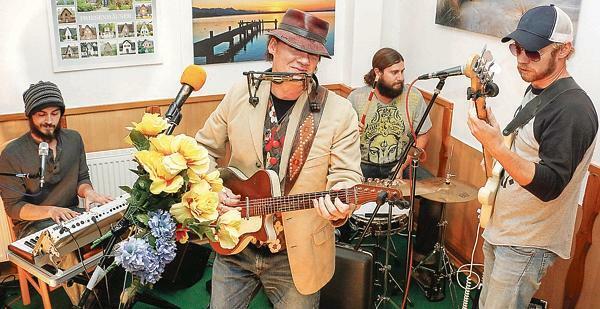 The band has released four albums of original music, “Good People” in 2011, “Wicked Mountain” in 2013, “Joyful Noise” in 2014 and Cumplir con el Diablo in 2016. A new release is in production with an expected release in Spring 2018. 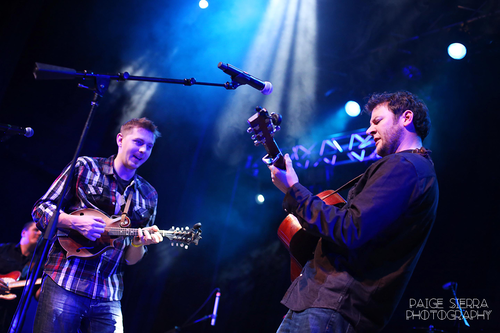 The Steamboat Bandits are a high-octane progressive bluegrass band from Kansas City. The group released their first album in 2015 and currently producing their next. 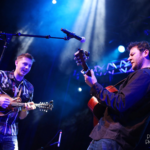 They are now showcasing all of their original material as well as many popular bluegrass standards and build their shows on improvisation to give each show its own unique character. 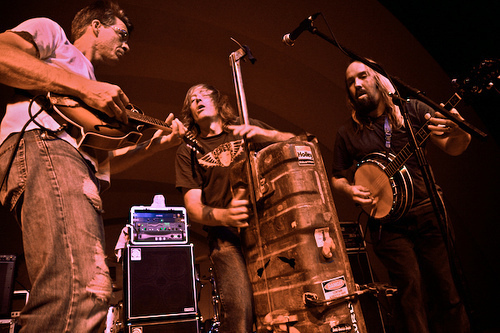 The Steamboat Bandits were formed at a local bluegrass festival in 2013, where campground jams led to organization. The band consists of guitar, mandolin, fiddle, banjo, and upright bass. 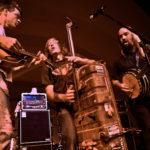 All of the members share a love for music and each add an integral part to the sound that makes The Steamboat Bandits. 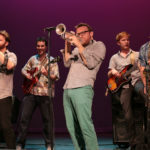 The band truly loves performing and is dedicated to spreading the joy of live music. “When The Rad Trads formed in the Spring of 2012, they were meeting each other in New York City’s East Village for the first time, looking to play with the best musicians they could find. Making rent playing 4 hour gigs in every bar and beer hall that would have them, the guys dominated New York City and Brooklyn with their punk-rock energy and showmanship, powerful horns, driving rhythm section, and four captivating lead vocalists. Within due time, they decided to take their show on the road. 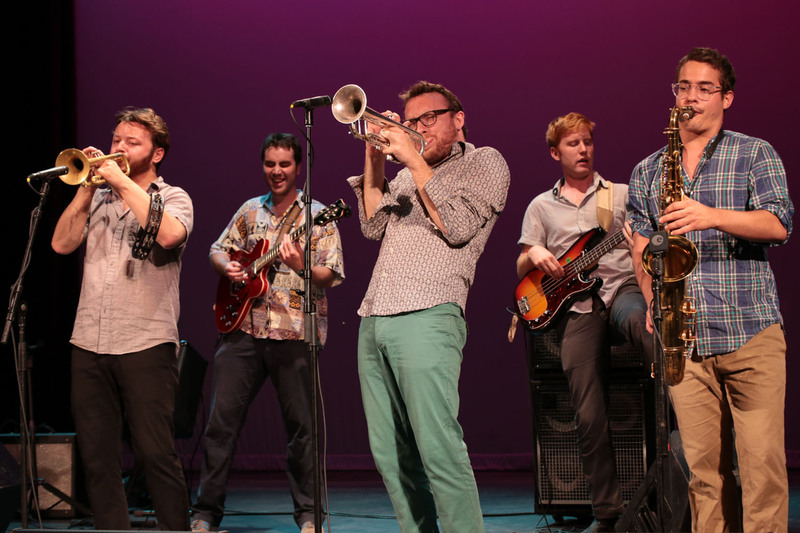 Almost 5 years later, the Rad Trads have played on 4 Continents, headlining tours and opening for acts such as Tom Jones, Charles Bradley, Buddy Guy, Taj Mahal, The Lone Bellow, Con Brio, and Dustbowl Revival. They have toured Europe six times, the Middle East and played in 14 countries and 32 U.S. States. Following the release of their first full length album (Must We Call Them Rad Trads – Dala Records) in May 2016, the band is slated to release their second LP of original music in the fall of 2017. From the blood-red heart of Kansas, it’s completely fair to call these guys legends. It’s been more than 20 years since Split Lip Rayfield first mashed up their aggressive stew of acoustic bluegrass instrumentation, tight country vocals, fierce metal shred, and in-your-face punk sensibilities. So yeah, they virtually invented “thrashgrass”. But then they kept right on moving. Following the 2007 death of their beloved bandmate and founder Kirk Rundstrom, SLR reinvented itself by simply staying the course, continuing to play hundreds of shows to thousands of fans. All the old-school invention and energy is intact, and they still stomp the living hell out of a stage. But their songs keep getting better and their sound is sneakier and smarter than ever.